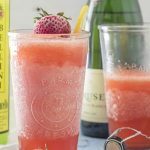 Strawberry Limoncello Cocktail, a refreshing adult slushie perfect for summer! A limoncello cocktail that is delicious and easy to make- sign me up! Have you guys noticed all the amazing slush recipes circling the internets these days? Well, I have and being a slushie fan I just had to make one myself! Also being… well, me. Naturally, I wanted to add a little alcohol to the mix! 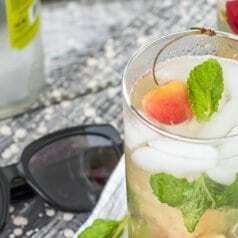 What drink screams summer to you? LEMONADE! Strawberry Limoncello Slush, um, yum. Drinks with limoncello have my name all over them! Mix up some easy homemade strawberry lemonade made with fresh strawberries and frozen into ice cubes. Thrown in a blender with limoncello. Pour into a tall glass and mixed with a splash of sparkling wine. You don’t need to but you might prefer drinking it cold. Where did I get all these amazing alcoholic beverages to add to my slush you must be asking? Total Wine, of course! I gave the Wine Manager at my local store my idea for these strawberry limoncello slushies and he helped me pick out the best bottles. First, we headed to the limoncello section… swoon. There were so many to choose from but he helped me pick out the best one for my recipe. He told me I didn’t need to get the most expensive one since I would be mixing it with other ingredients. I had to pick up two, one for slushies (Bellini Limoncello) and one for sipping (LiDestri PINK Limoncello™). I got this pink limoncello, because… duh. and lastly I’m totally going to reuse that bottle when I’m done. Also, not pictured is Duplin Scuppernong. Not pictured because we already drank it. Oops. 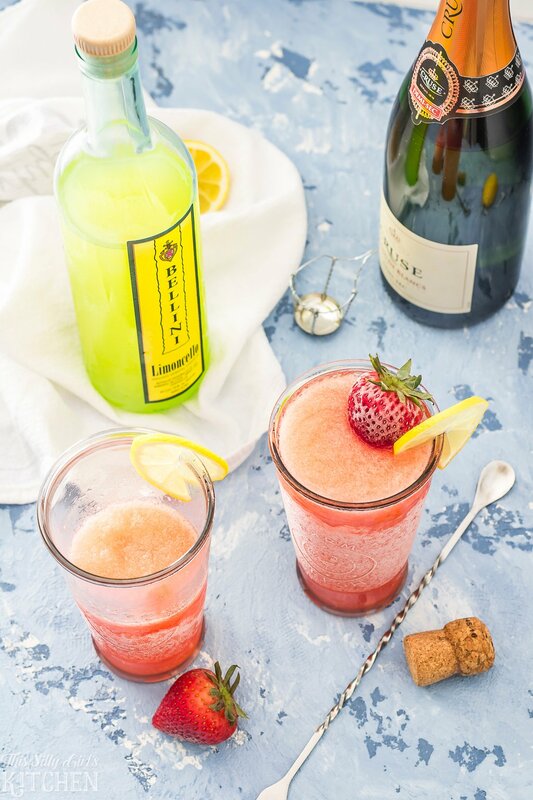 OR, an alternative if you don’t have a blender or if you are not a fan of frozen drinks is to mix the lemonade with the limoncello and drink over ice with a splash of sparkling wine. 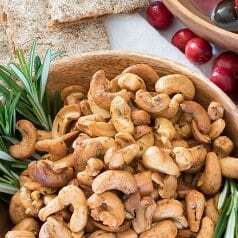 Either way, these are a knockout! 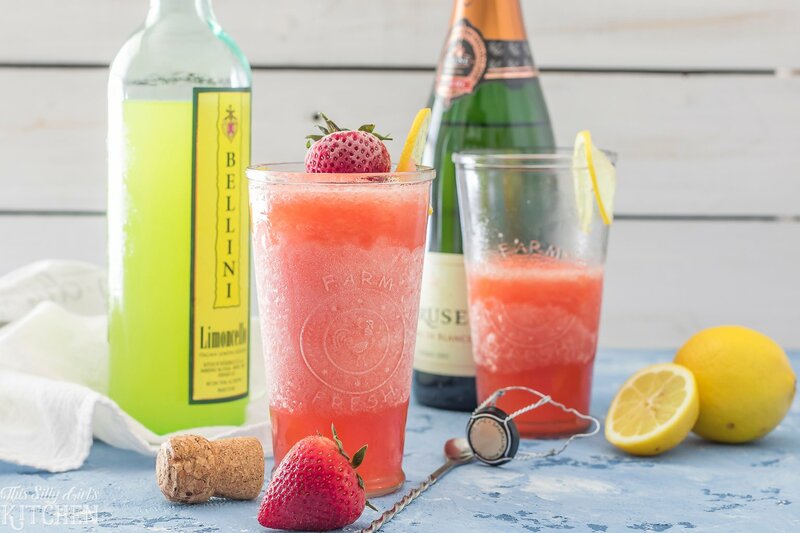 I HIGHLY recommend making these slushies at your summer cook-out, to sip by the pool, on your back porch, on a Tuesday night, you know, whenever your heart desires! Can’t drink alcohol? No biggies! 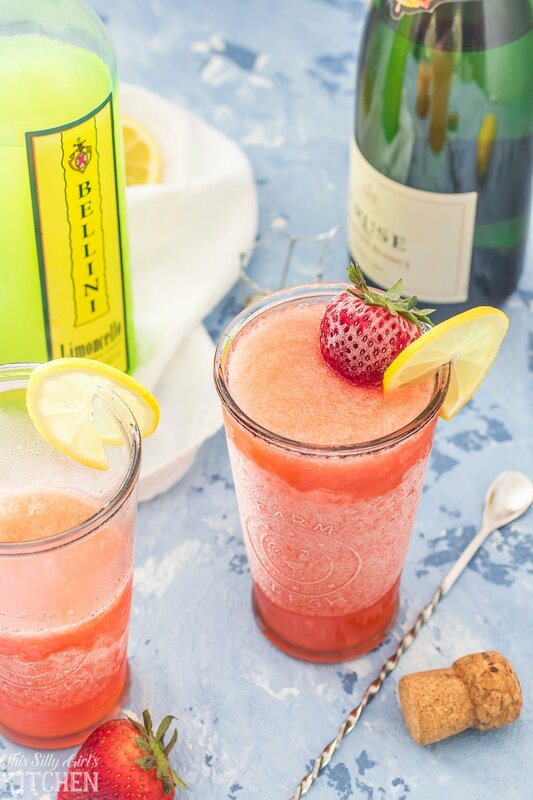 Just make the strawberry lemonade, blend it up, add it to a glass and top it with sparkling grape juice. So, cool off with one of these yummy slushies. What is your favorite slushie flavor?? Place the sugar and two cups of the water into a medium sized pot. Put over high heat stirring occasionally until sugar is melted and liquid is clear. Take off the heat and let cool completely. Place strawberries in a blender, blend until smooth. Strain through a fine mesh colander. Pour this along with the lemon juice, sugar water, and remaining water into a large pitcher or bowl. Mix to combine. Pour desired amount into ice cube molds. Two drinks use about 1 1/2 ice cube trays. Place in freezer and allow to freeze completely. I do this overnight. Place 1/2 cup of limoncello into a blender. Add 3 cups of the ice cubes to blender. Blend until smooth. Top with 1/4 cup of the sparkling wine in each glass. Stir to combine. 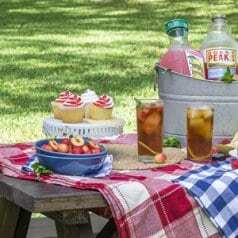 Make strawberry lemonade as directed. You can still freeze some to use as ice cubes if desired, this will help to not water down your drink! Mix 2 cups of the strawberry lemonade with the limoncello. Pour over ice. Add 1/4 cup of the sparkling wine to each glass. Stir to combine. Allow time to make ice cubes if desired! Oh wow, these conjure up so many lovely thoughts, Dana. 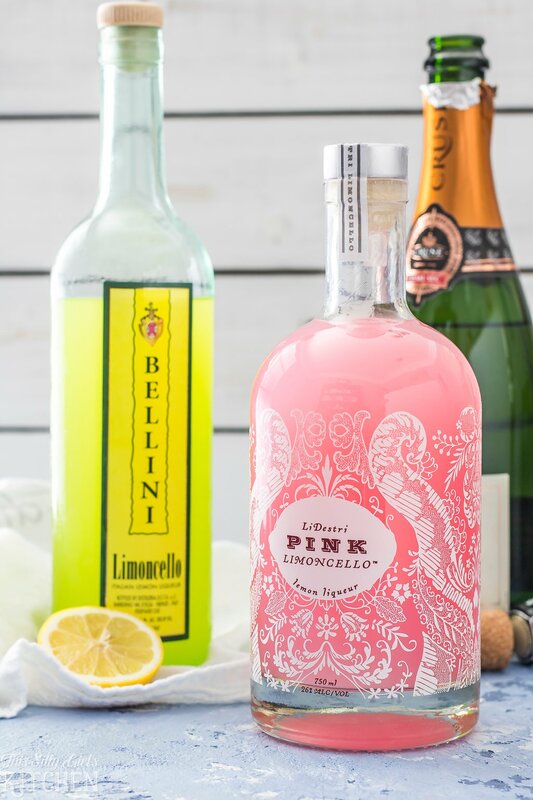 Just look at that amazing range of Limoncello and…PINK limoncello?! Sold!! I’m in love with those gorgeous ice cubes. Helloooooo perfect spring cocktail! Love how gorgeous these photos came out too!